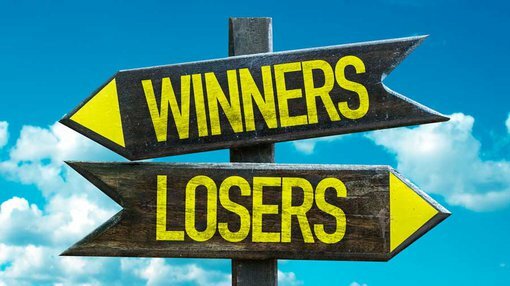 Who won and lost this reporting season? As we draw to a close on this year’s reporting season we’ve seen mixed results across the board. Overall the season has been skewed to the positive side, with regards to companies making increased profits year-on-year. Below are a few notable mentions and standouts from the year. Online flight booking website Webjet (ASX:WEB) announced another record profit year, up 27% from the previous year. Furniture retailer Nick Scali (ASX:NCK) has done it again with record profits announced, the share price rising 15% on the news. Airliner QANTAS (ASX:QAN) almost doubled its profits from a year ago to a record $1.03 billion, announcing its first dividend payment since 2009 and plans to buy back up to $366 million in shares. BHP (ASX:BHP) was a standout in the losers’ column, posting its first loss in 15 years. This is only five years after posting record profits. Wesfarmers’ (ASX:WES) full-year profits slumped by more than 83% as its coal division and retailer Target ate through earnings. A disappointing year for Seven West Media (ASX:SWM) saw its share price plunge from $1.10 to now $0.78 in the space of two months. The company warning of a 20% earnings drop in 2017 with lacklustre ad revenues and disappointing AFL and Olympics viewership compared to the costs of securing the broadcasting rights. Despite some companies making record profits they saw their share price fall, this is due to falling short of projected forecasts. One example of this is Medibank (ASX:MPL) who posted a 46% increase in profits, yet saw its share price fall as it missed expected earnings. The share price performances of these companies should not be used as a guide to future performance and any investment decision should not be based solely on this information. On a technical level, the ASX 200 has been trending up since the beginning of the year, with the direction from here largely dependent on what the Federal Reserve does with rates over in the US. Fed Chair Janet Yellen will be delivering a speech on Friday night US time, Saturday morning for us here in Australia, discussing the outlook for interest rates. Expectations of a rate hike will likely see markets get punished and move lower, whereas talks of easing or keeping rates on hold indefinitely could lead to the market increasing its move higher. With the DOW recently making an all-time high to be hovering around the 18,500-18,600 mark, the next move would be for the DOW to head towards 19,000. If that was to occur we would likely see the ASX 200 (ASX:XJO) follow along and see the market break through resistance at 5,611 and move higher. What will Yellen say? We’ll have to wait and see, but what we do know from previous statements is that the Fed will do whatever it takes to keep markets propped up including dropping rates down into negative territory and a Fed working paper released last week revealed that $4 trillion in QE could be used to offset and future ‘economic shock’. With interest rates already at all-time lows both in the US and Australia, stocks have become a yield play for many investors. Backed by an overall positive reporting season, dividends are becoming an enticing factor for investors as government bonds continue to fall in yield.